A Fun Day at Itaewon! 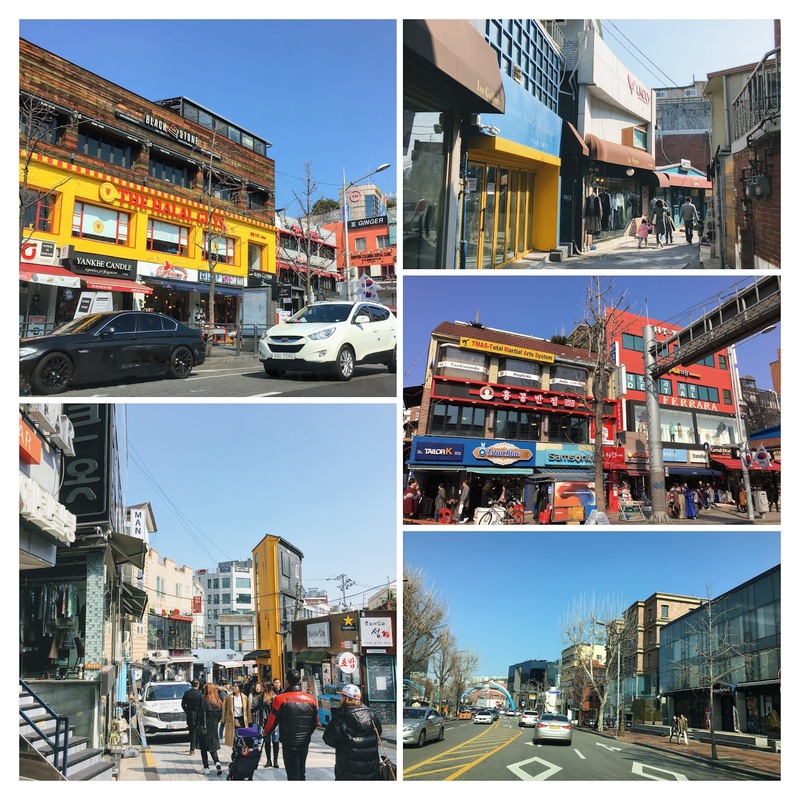 Itaewon is located at the center of Seoul and it's a melting pot of foreigners from all over the world with different foods and culture. You can find the most trendy restaurants, cafes, bars and clubs here, which attracts people for its lively nightlife. But it's also a great place for family with kids to hang out during the day. It has museums, kids cafes, great eats, and interesting stores to explore and to take fun pictures. 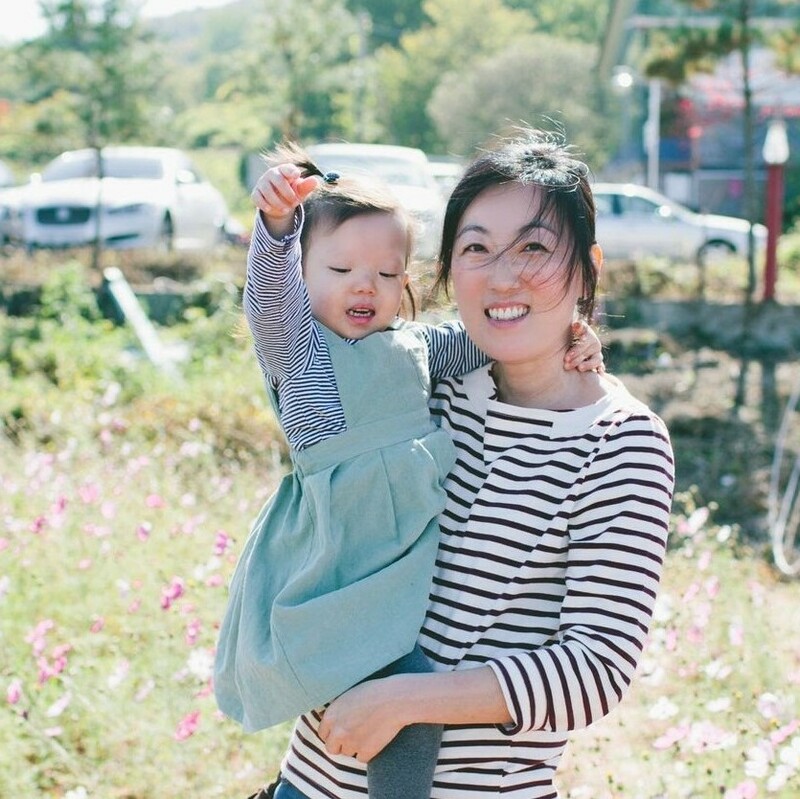 So here are few of my favorite things to do with my family at Itaewon. 1. 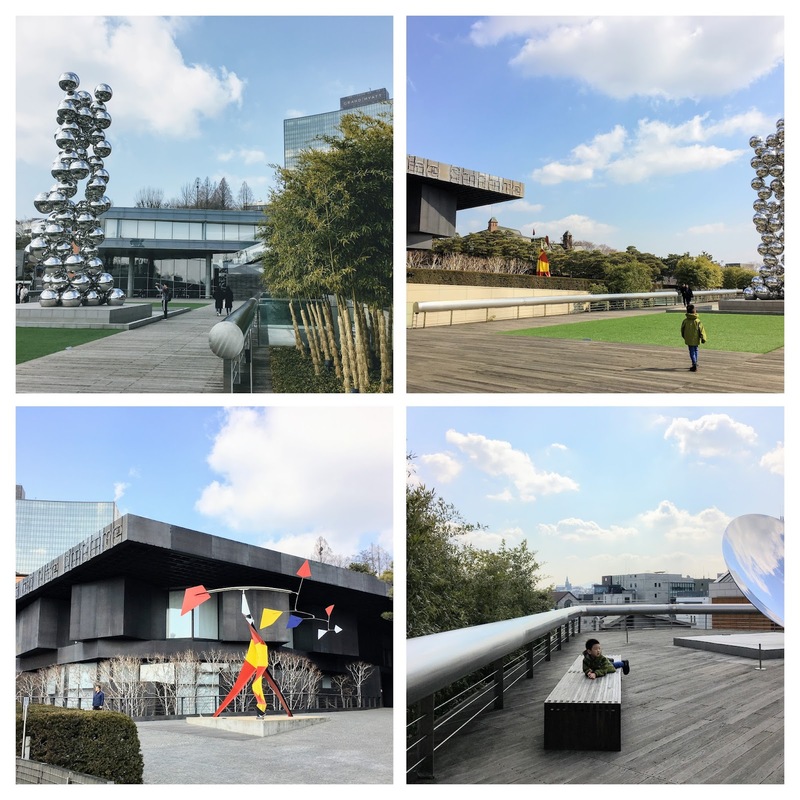 Visit the Leeum Samsung Museum of Art. 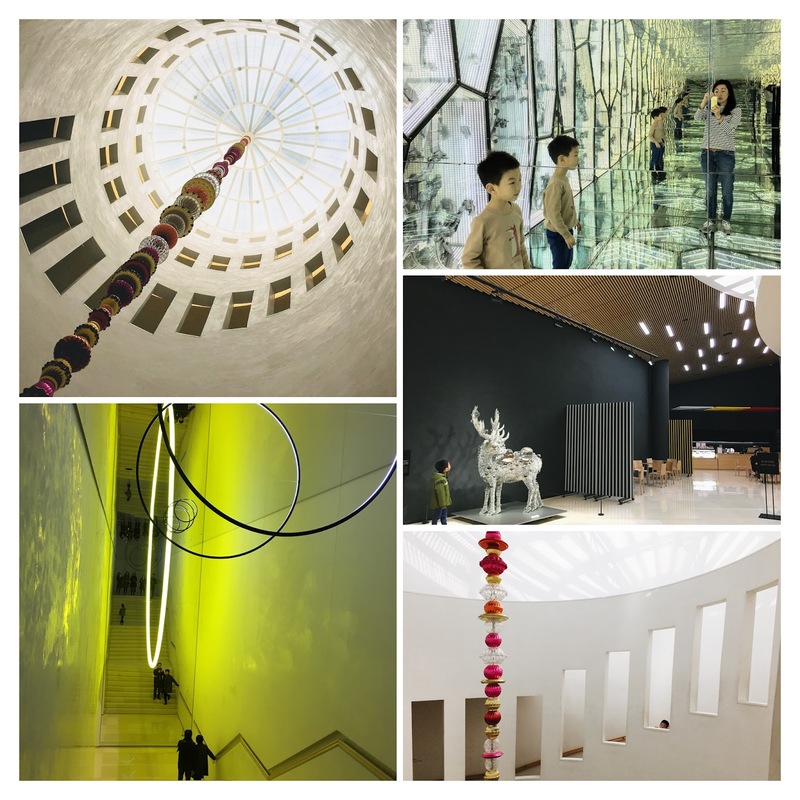 They have permanent exhibitions and special exhibitions and both are worth seeing. They offer English guided tours if you are interested in learning about the exhibition more in depth. This was from their past special exhibition. 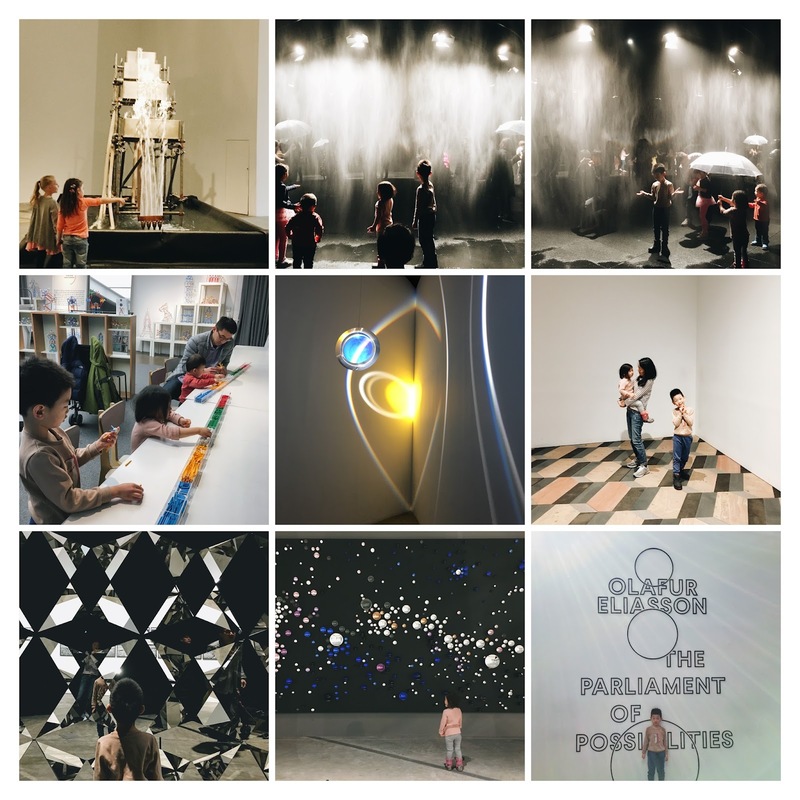 Olafur Eliasson's "The Parliament of Possibilities". It was a great interactive exhibition for kids. My kids loved it! Here are some pictures from the permanent exhibition. You are not allowed to take pictures here, which is why I don't have any pictures of the actual exhibition. I actually got in trouble for taking the top right picture. 😆 Most of these pictures are from the lobby area. Museum 1 holds mostly Korean traditional art works and Museum 2 has modern art works from various artists from around the world. And outdoor area which is open for everyone. You don't need to pay to walk around in this area. Overall I love this museum. It's spacious, kid friendly, and I always leave inspired. to shop for cute stationeries, take pictures with giant Line friend characters, and have brunch and/or dessert, although we never tried it. It's just a fun store to visit and shop for gifts and who wouldn't like a cute giant bear?!?! 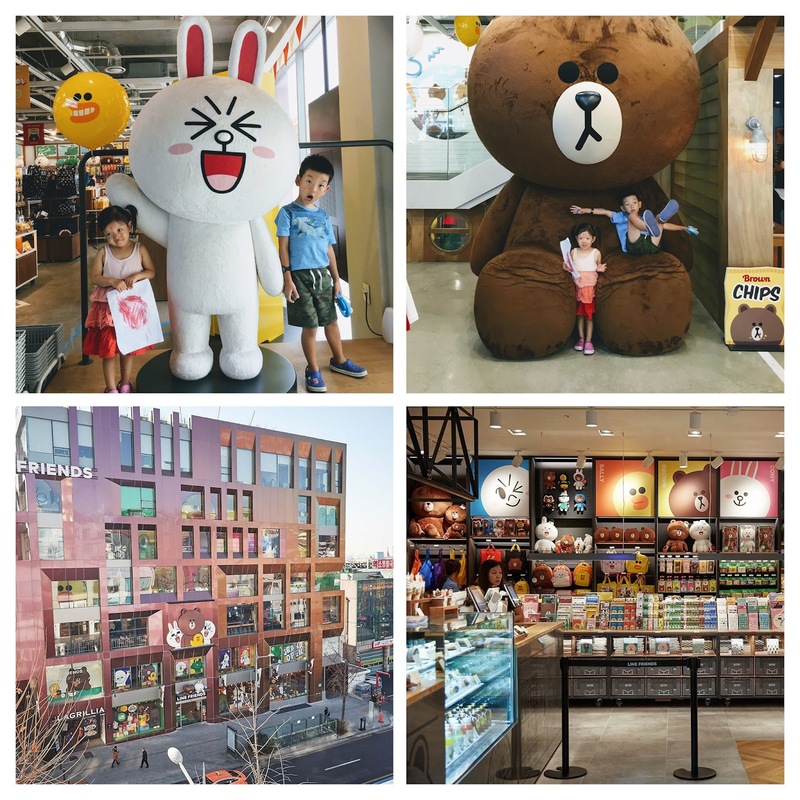 Check out their website www.linefriends.com for other locations. Itaewon is where we go to satisfy our cravings for food other than Korean such as kebabs, Thai, Japanese ramen, Chinese dumplings, Indian, pizza, wings, western brunch etc. Go in and try any of these restaurants...you might just find a gem! We actually tried a new restaurant right across from Leeum Museum and we loved it. This was a Taiwanese style noodle bar. 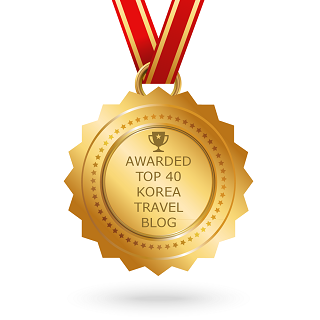 If you have favorite places to eat at Itaewon, please share them! There are many fancy cafes with pretty looking desserts in Itaewon, but my favorite is getting Turkish ice-cream from this guy at Mr. Kebab!